Baconsthorpe Castle is a fortified manor house, consisting of an inner and outer gatehouse with a moat. 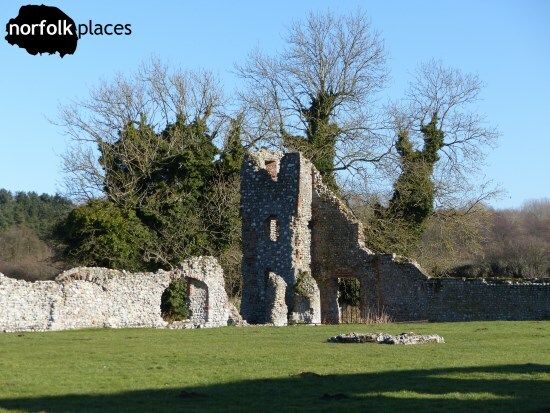 This historic site dates back to the 15th Century and it is located near to Holt in North Norfolk. 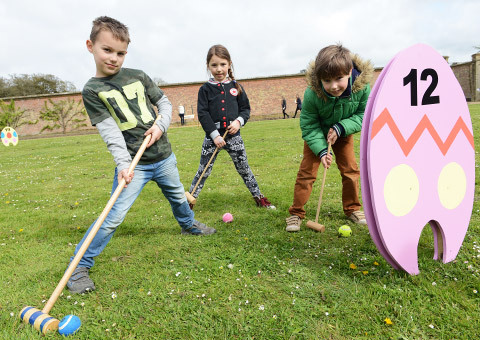 Find out more – view the Baconsthorpe Castle listings page for location and more info. It’s not often I take advice from the Sat-Nav about where to visit in Norfolk. However, on one sunny chilly day during the school half-term we found ourselves heading towards Cromer without a clue as to where to visit. Yes, we love to go to the coast but we like to check-out new things too. Killing two birds with one stone is an over-used phrase, but applicable nonetheless. “Hmmm, how about checking the Points of Interest nearby” I muttered to no-one in particular. The clan busied themselves with Nintendos, comics and magazines blissfully unaware that I was changing the destination. “Hey, Baconsthorpe Castle. Sounds good, yes?” I think they heard “bacon”, because the “whatevers, sounds good” from my teenage-behaved primary schoolers was enough for me to take this as acceptance of the suggestion. So, off the beaten track we went. And, boy oh boy, was it off the beaten track. 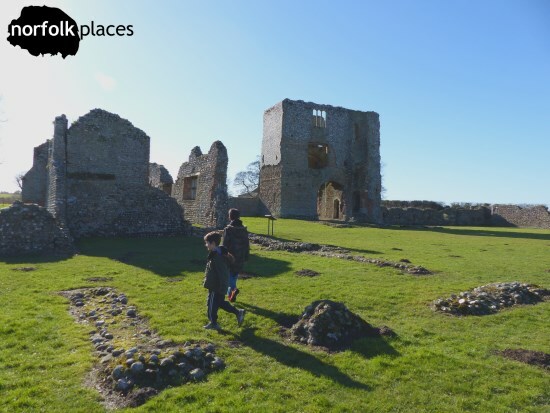 It’s in an expected place, near a farm down single lane roads but as a big fan of historical ruins I would say Baconsthorpe Castle is well worth a visit. Being away from the hustle and bustle of towns and busy roads, it was so tranquil. 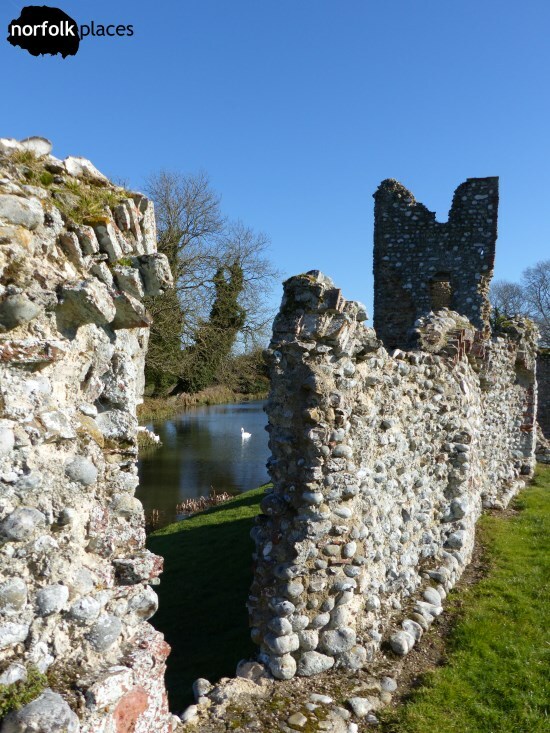 Great just for walking around, watching the swans in the moat, and discovering a bit of Norfolk’s history that you won’t find in a school history book. Oh, and it’s a great setting for photography fans too. Luke (10) – Great place for young kids to explore and enjoy, though you gotta keep an eye on the mini-kids. I really enjoyed the ruins, and just exploring it really. The history was fascinating and it sparked the imagination about what life was like in the 15th Century. Oh, and shouting LOL inside the old buildings makes a cool echo! Ben (7) – I didn’t want to go because the car journey nearly made my sick (he was a bit green at the gills! – Dad) but when we actually got there it was quite cool actually. I found loads of escape tunnels, a jail, holes in the walls where they’d stick their guns out of to shoot the enemy, an indoor swimming pool (er, I think he means a fenced off area where the moat is encroaching on the ruins. Looks like he’s taken Luke’s comments about using the imagination very literally! – Dad) and, erm, some swans and…. can I have a biscuit now, Dad? Please! Watch the little ones – don’t let them climb on the walls. Not only can it damage the building there’s a risk they could fall in the moat! Drive carefully! 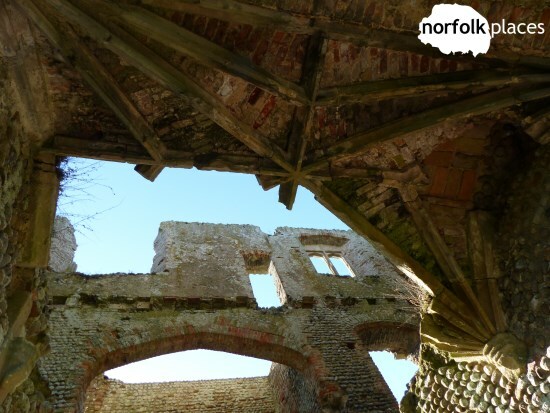 – It’s fair to say that Baconsthorpe Castle is in an unexpected place. I’m pleased my Sat-Nav knew where it was taking us because navigating down single lane roads in the countryside is not easy, especially as I don’t recall too many vehicle passing points on the roads. Nonetheless, it’s certainly worth the journey! We stayed for approximately 30 minutes, which was enough time to explore most of the site. If I didn’t have the boys with me I may have enjoyed a little longer to leisurely stroll around. Want to see more pictures? We have some on our Facebook page.